Mobile connectivity is shaping the way we do day to day activities. Whether it be mobile banking, mobile health or surfing the world-wide web, mobile coverage has become a part of who we are. Service providers are aware of the benefits mobile coverage presents, but when it comes to deploying new coverage, operators are faced with many challenges. 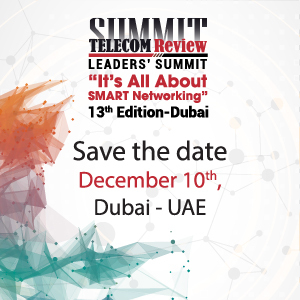 Speaking to Telecom Review, Rajesh Mishra, CTO, Parallel Wireless, discussed in depth those challenges and highlighted the importance and use cases of the company's vRAN-based solution. What are some of the challenges of bringing new coverage? In the telecom industry, rural markets face low ARPU. Service providers cannot justify the investment to deploy new coverage with the low average revenue per user. The lack of basic infrastructure poses another challenge, notably in rural areas that lack backhaul access and power supply. Furthermore, the cost and complexity of maintaining a cellular solution means operators will need onsite personnel in remote areas when a solution goes down. This not only takes up time but also costs operators a fortune. That is why they need to modernize their cellular networks virtually, through one simple solution. How does Parallel Wireless address these challenges? To connect the unconnected, Parallel Wireless created a cost-effective, low-power, multi-technology 2G/3G/4G solution that uses commodity components for hardware and integrates flexible backhaul (including wireless SDN mesh) to deliver instant, reliable and cost-effective coverage anywhere. 1. Reducing the initial CAPEX investment to enter a new market or area. This is enabled by (1) low power consumption (uses less power than a MacBook laptop running on full CPU), (2) small form factor that reduces site rental costs, and (3) easy and instant installation enabled through self-configuration capabilities which reduces installation times for an entire network from months to weeks since installation can be done by anyone. 2. Using any available backhaul in remote areas. Traditionally, bringing backhaul to rural sites took a long time and required substantial upfront investment since delivering the highest speed possible required very expensive backhaul fiber. 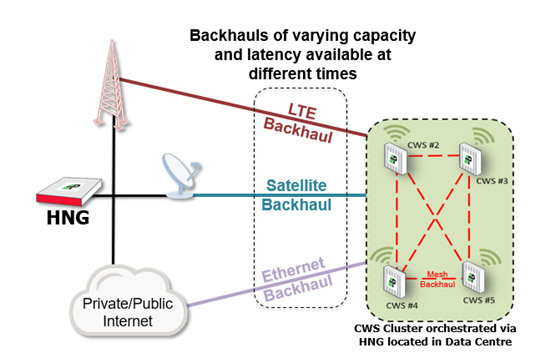 Parallel Wireless flexible backhaul capability removes the need to lay out expensive fiber. The nodes can also daisy chain this mesh network even further, bringing low-cost wireless broadband to even a remote community of one. 3. Reducing on-going OPEX costs in remote environments. The network orchestrator piece of this solution, HetNet Gateway, accelerates configuration of the nodes and the process doesn't require any planning applications. The automation also reduces maintenance costs with self-optimization capabilities that eliminate the need to send engineers to remote sites for optimization and repair. 4. Delivering lower costs per subscriber by targeting small concentrated pockets of users using MEC, content caching, and local breakout. By creating an open ecosystem of vendors, operators, government entities and local businesses, this solution can also help to enable new use cases in rural areas that will also help to create additional revenue. How does this solution benefit rural customers? When we think of mobile coverage, we tend to forget how easy it has made our lives. In many rural areas, the access to WiFi is nonexistent, and as a result end users cannot access e-schooling, e-health and data on mobile. Parallel Wireless 2G/3G/4G solutions can enable end users to access mobile banking, mobile health and more. Such activities will help to improve daily life in rural communities as citizens now have access to online tools and functions that the rest of us take for granted. The innovation behind our 2G/3G/4G cellular solution improves the QoS for users as optimization through SON mitigates traffic interference in real-time to deliver a reliable and resilient coverage. The rural wireless network itself will also benefit from hands-free network maintenance since all radio resources are then self-optimized in real-time. What companies/organization have adopted the solution? While many industry players are reluctant to enter rural markets due to high cost, Parallel Wireless is eager to bridge the digital divide, having deployed or trialed this solution on six continents. This solution has also been selected by leading operators including Ice Wireless in Canada, EE/BT in the UK, Optus in Australia and Telefonica in South America. 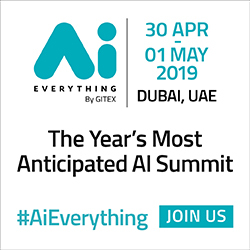 This upcoming year we will continue to connect the unconnected as well as reveal the work we are doing with leading global operators. How is the solution a crucial first step in enabling the 5G vision? Wireless services enabled by Parallel Wireless technology provides rural communities around the world with reliable 2G/3G/4G broadband service and voice. By eliminating the need for large masts or cabling, service providers can deliver wireless connectivity to untapped markets quickly and economically. This innovative architecture will play a bigger part in helping operators better balance their rollout costs with their revenue potential as we migrate forward into 5G. Since the main objective for the rollout of 5G is to better people's lives via improved connectivity, this solution is a crucial first step in enabling the 5G vision. Why is Parallel Wireless eager to bridge the digital divide? Growing up in India, there was no internet. I always found myself exploring what was out there through books or real-life experiences. As I grew older, mobile technology caught my eye because of its ability to connect users. Although mobile coverage was not as developed as it is now, I envisioned a world where connectivity was accessible whenever and wherever. Being in the telecom industry for more than 21 years, I realized mobile coverage presents bigger benefits than one can imagine. Bridging the digital divide can create a better world and future. As CTO, what is your vision for Parallel Wireless going forward? 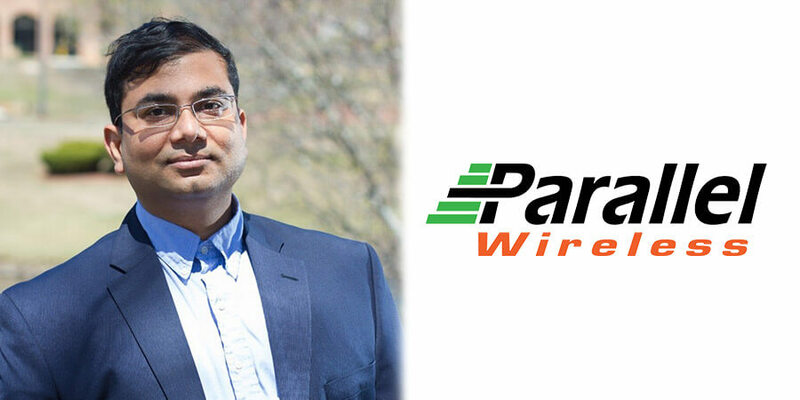 As CTO of Parallel Wireless, I see Parallel Wireless as a key player in the rural and telecom market. I see our innovative solution positively impacting communities around the world, and enabling operators to address the rural challenge.